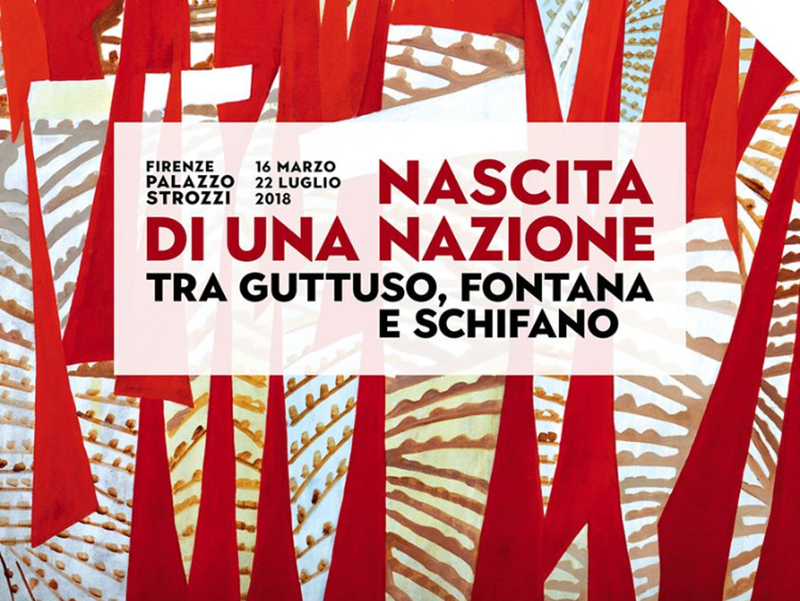 The Florence Experiment – Palazzo Strozzi, April 19th to August 26th, 10AM / 8PM (10AM / 11PM on Thursday) is a Carsten Höller, Stefano Mancuso installation, curated by Arturo Galansino, the current Director of the Fondazione Palazzo Strozzi. Carsten Höller installations between science, art and technology are used to build a very strong connection with their audience. In this venture, Höller teams up with Stefano Mancuso, founder of vegetal neurobiology, a new branch committed to the understanding of plant intelligence and behaviour. The exhibition / installation The Florence Experiment aims to explore a reflection about the relationship between mankind and plants, towards a new awareness of the way mankind know and interacts with a vegetable organism. During the exhibition, Palazzo Strozzi is going to be a space ready for scientific and creative as well experiments; a laboratory about behavioural and emotional frameset for all living creatures. The Florence Experiment: the fun! 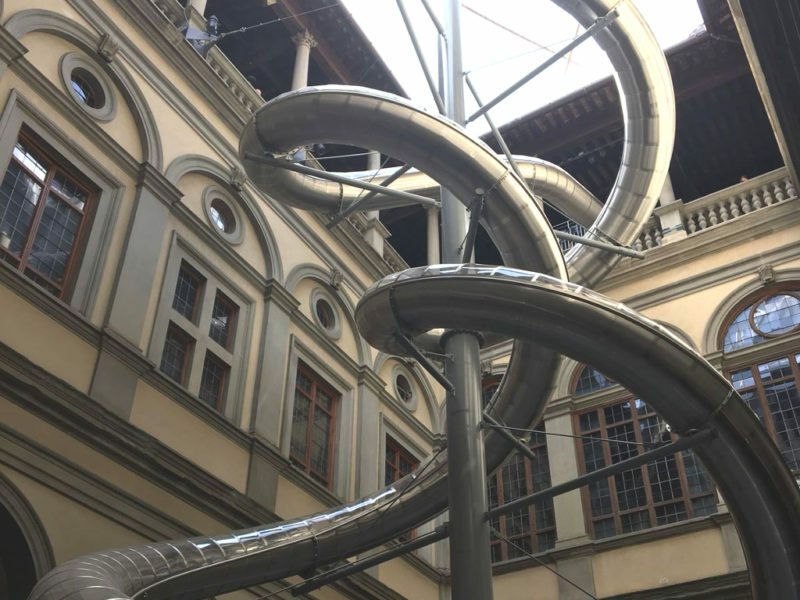 While a space for such experiments is set in La Strozzina area, the The Florence Experiment main feature is the huge couple of giganormous slides that, yes: can bring you from the Palazzo Strozzi piano nobile to floor! The Florence Experience is an individual experience. To take part you must agree to the terms and conditions. Children must be at least 6 years old. An accompanying adult is mandatory for children under 14. People must be between 130cm (4’ 3”) and 195cm (6’ 5”) and weigh no more than 120 kg (18 st. 12 lbs / 264.5 lbs) to use the slides. 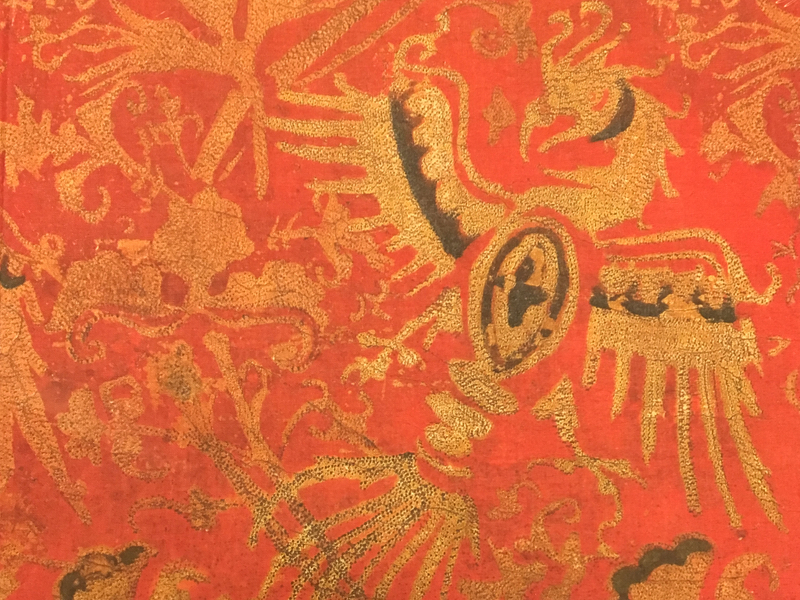 Take a look at our post Palazzo Strozzi: (not only) “another” Medici’s building! 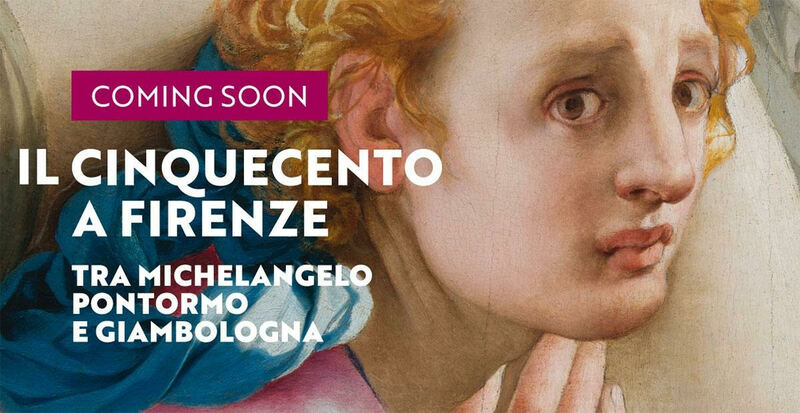 and the Palazzo Strozzi tag on It’s Florence! blog.